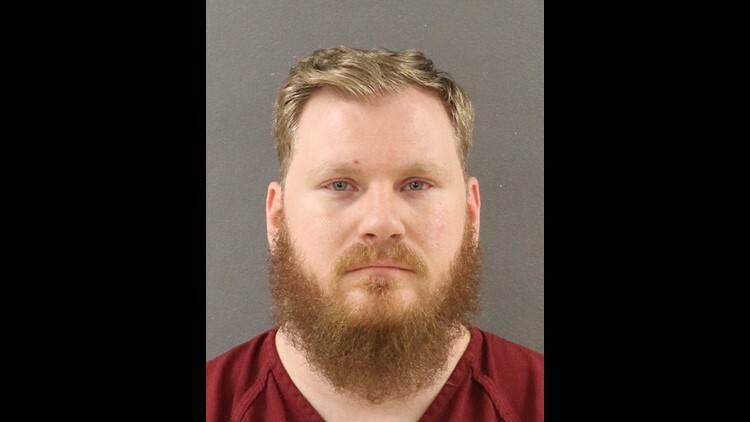 KNOXVILLE, Tenn. – A man enraged at a video game grabbed two handguns in his home and fired more than a dozen real rounds into his walls and ceiling, according to court records. Casey L. Jones, 30, is charged with four counts of reckless endangerment involving a deadly weapon, all felonies, in the incident a little after 1:30 a.m. ET Wednesday. One of the bullets struck a house across the street, and a family of three was at home, arrest warrants state. Authorities later found the bullet lodged behind a window shutter. No one inside the house was injured. Jones had been playing a video game on his Xbox, said an unidentified woman at home with Jones. She said they had not been arguing. "He suddenly had a breaking point and began screaming at the game," the arrest warrant states. "He smashed the gaming console with his fist, causing him to act out in more rage." Jones then was accused of going upstairs to his bedroom and firing rounds through the ceiling and walls. He never pointed the firearm at the woman, the arrest warrant indicated. He later admitted to authorities that he had picked up a Springfield XDS handgun from his nightstand and fired several rounds into the ceiling.Then he grabbed a Springfield XDM and aimed another volley of gunfire at the walls. One of those rounds went through a bedroom window and struck the neighbors' house. "The arrestee made threats of harming himself and has a history of making those same threats," the woman said in the arrest report. Authorities recovered 16 shell casings from the bedroom. Both handguns were confiscated. The filings did not indicate what game Jones had been playing before he lost control. Rage because of a video game taken away is much more common than uncontrolled rage from playing a game because of the addictive nature of video games and the connection players often feel to their fictional community, according to John Kupfner, a psychiatrist with Peninsula Behavioral Health in Lenoir City, Tennessee. Anger can arise from video games because people can have a hard time separating reality from fiction, particularly when video games are played online with multiple people so contenders feel as if they are part of a fictional community., Kupfner said. When a player feels he or she has let other players down or is criticized, the criticism can be taken personally. Those who play hours on end are especially susceptible because their online alter-ego becomes part of their identity, he said. If players who can't control their emotions are younger, Kupfner said parents should get rid of the games because the children don't own the games or devices, the parents do. "Everything has to be in moderation," Kupfner said, stressing that people need time for normal human interaction. Jones, who has no previous arrests in Knox County, was released on $8,000 bond. His arraignment is scheduled for Nov. 14.